The leader in high quality ceramic capacitor products and respected by the electronic industry since 1980 for its highest standards of manufacturing, quality control and service. Presidio’s state-of-the-art manufacturing technology utilizes the latest designs in machine automation and clean room environment. 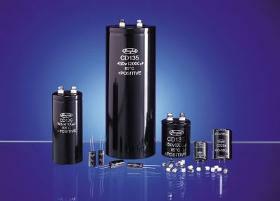 A leading manufacturer of AC and DC capacitors 220-4000 Volt rating. primary markets include airport lighting, tower lighting, defense contractors, UV curing, UV lighting & printing power supplies, transportation, and communications, HID lighting, ferro-resonant power supplies, filters, motor run, battery chargers, power factor correction, SCR commutation, snubber, frequency changers, motor speed controllers, static power supplies, harmonic filters, ultra violet light curing, pumps, compressors, energy discharge, sign & neon lighting ballast. Pamir supplies electrolytic and aluminum electrolytic capacitors, ceramic, RF/Microwave, radial, snubber, and monolithic capacitors, surface mount devices (SMD), and tantalum capacitors. Also available are custom-designed, high-voltage capacitors and capacitors for high current, power semiconductors, and D-C applications.